There are so many options and choices today for garage doors that it can be hard to know which one is the best for your curb appeal and aesthetic. That’s where the DoorView Visualizer comes in to allow you to virtually “try on” several different designs, materials and looks so that you know exactly what you’re getting when you place your order. Did we mention it’s free? Happy holidays. Once you’ve saved your perfect door, send us your idea and we will tell you how much it would cost. No obligation, no worries, no hassle. The only time you pay is once you make the decision to get your dream door installed. 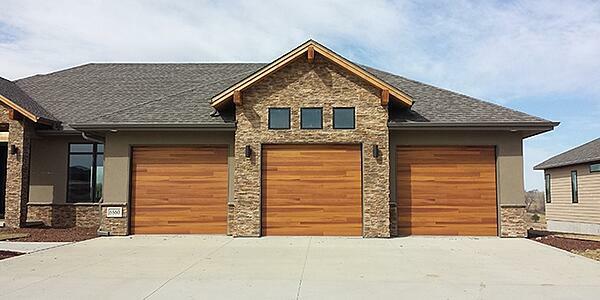 A garage door is one of the best things you can upgrade to add value to your home. If you’re planning on selling soon, you’ll get about 85 percent return on your investment. That’s a decision that won’t keep you up at night! Don’t let this holiday season pass without getting something you really want. Visit our design center today, get planning and once you’ve picked out your perfect new door, we’ll do the rest. You can trust us to get the job done right. We’ve been serving Sioux City and Yankton for more than 50 years. We have a longstanding commitment to Siouxland to provide service and superior workmanship.